We celebrated St. Patrick’s Day in our school today. All the pupils and teachers wore green clothes, children brouht green toys. There was a raffle with green clover. 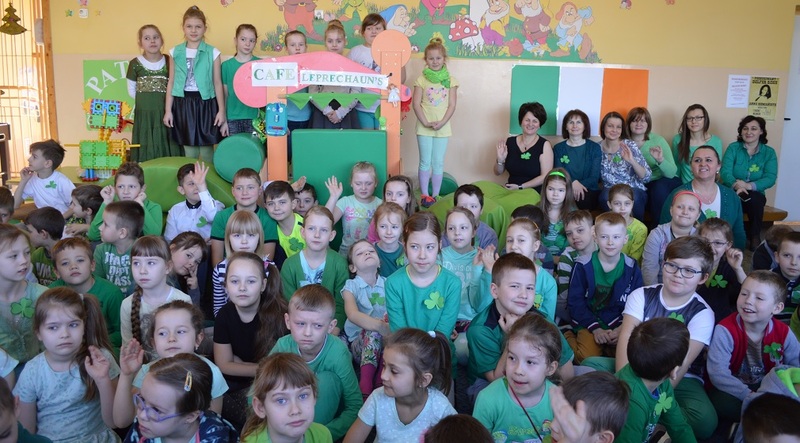 In Leprechaun’s Cafe children could buy green drinks and sweets. During Religious classes students got to know about St. Patrick and the clover. During Art classes students knew the legend of Leprechaun and then they drew the dwarf and Irish flag.